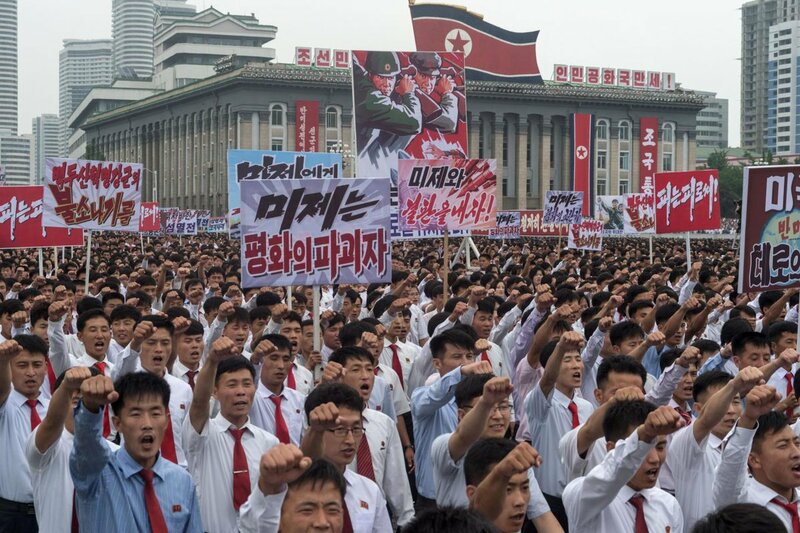 The North Korean crisis could be reaching a deadly breaking point. Supreme Leader Kim Jong Un is planning something big. And U.S. spies found out the date he could start World War 3. The CIA is warning that October 9th could be the day Kim Jong Un launches his most provocative move to date. That weekend is the anniversary of the formation of the ruling party in North Korea, and the communist government tends to time their missile launches and nuclear tests with days that are historically important to their nation. “A top CIA official for the Korean Peninsula warned Wednesday that the U.S. should be ready for a new provocation by North Korea on Columbus Day on Oct. 9, which coincides with the anniversary of the founding of the political party that governs in Pyongyang. “Stand by your phones,” Yong Suk Lee, deputy assistant director of the CIA’s Korea Mission Center, said while speaking at a conference organized by the agency at The George Washington University. Lee did not speculate what North Korea might do, though it frequently carries out missile launches or nuclear tests on major state anniversaries, such as the birthday of leader Kim Jong Un or other dates associated with the lives of his father or grandfather. Oct. 10 marks the anniversary of the founding of the Workers’ Party of Korea in 1945. Tensions with North Korea have reached new extremes in recent weeks, following months of increased weapons tests combined with new U.S. appraisals that Pyongyang is close to perfecting or perhaps already has made an intercontinental ballistic missile that can carry a nuclear warhead and hit targets accurately. But what could they be planning and why could it accidentally start World War 3? There are rumors that North Korea could conduct an upper atmosphere nuclear test. That would be the first of its kind since 1980. “North Korea could test a powerful nuclear weapon over the Pacific Ocean in response to US President Donald Trump’s threats of military action, the country’s foreign minister has warned. An upper atmosphere nuclear test that goes awry could create an electromagnetic pulse wave that destroys the power grid in Japan or South Korea. The United States and Russia stopped conducting these tests because in the 1950s, an atomic test over the Pacific damaged communications and electrical capabilities in Hawaii. Should North Korea conduct a risky live-fire nuclear test over the Pacific Ocean that damages one of America’s allies, the United States may have no choice but to respond with military force.